I don’t want this to define my life or the life of our boys. I don’t want to be known just by our loss. I want to be known by our life. I remember coming upon this same week of October last year. The dates hold the memories of three life-altering experiences. 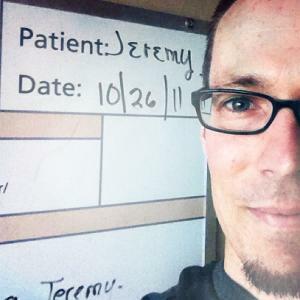 October 23, 2012 had marked the eleven year anniversary of Jeremy’s and my engagement, October 26th was the one year anniversary of my dad’s unexpected death, and this same week had also marked one year since we had found out that Jeremy was in need of a bone marrow transplant. In the days leading up to this week last year there was much to anticipate. It would be the first time living those anniversaries without Jeremy (he had passed away just four months before, on June 10th) and there was so much I hadn’t yet experienced in a world with grief. Coming upon these days this year does feel different. It was told to me a handful of times after Jeremy’s death that year two would likely be harder. At the time I thought, how can year two be harder than this? And why would it be harder? It was not something I wanted to hear because in the midst of living those months after Jeremy’s death I could not imagine it feeling worse. The other comment I heard often was “grief is different for everyone; don’t compare yours to theirs; it will never be the same”. So I walked forward praying (and somewhat determined) that year two wouldn’t be as hard as year one. Gratefully, it hasn’t been so far. I think this is partly because I had been given the opportunity to free myself from school and work obligations last year. I had an amazing and large community of friends and family that surrounded me and the boys (and still do to this day). In addition to these things, Jeremy had prepared me for his death in some very significant ways. But maybe what was most significant was that I had entered this season of grief knowing that Christ ultimately calls us to press onward — in the best seasons of life, the worst, and every place in between. So I made a conscious decision to let God use this experience to remake me. (Is there really any other way?) In the face of death you either cave into more of it or you cling to every promise of hope for life. But for those of you who are walking through your own grief and think that it somehow ought to look like mine (or that mine should look like yours), it shouldn’t. What is the same for some of us is the Companion we have in Jesus; He walks with us. I think what God intends to do with our hearts in the midst of grief is likely different for each of us. It is rare that I know exactly how to think of Jeremy as he is right now. I picture his body in the grave and his spirit with the Lord but it is rare that I feel comfortable imagining what that is like. But there have been moments when what I picture is this: him with a huge smile on his face, eyes exploding with anticipation of the moment we get to see everything he does, telling us to press on and walk forward with much joy, because what is ahead of us is so incredibly worth it. I picture him seeing my and the boys’ sorrow, yet not being sorrowful because he knows that it is temporary and one day our tears will be wiped away forever, just as his have been. There are places in my heart that will always ache for an eternal answer. 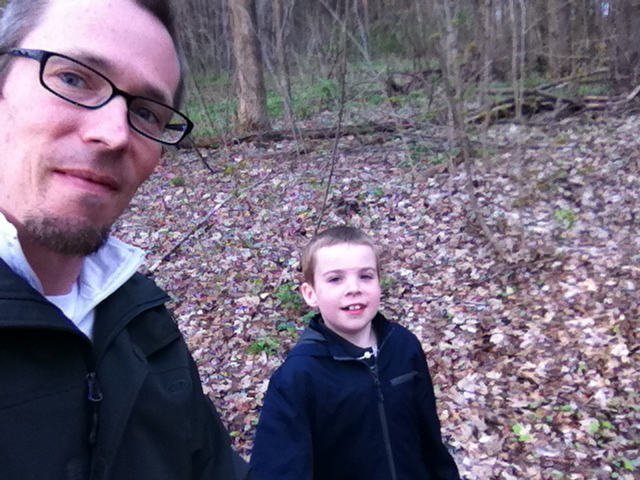 Aedan asked again a few weeks ago, “why did God make our dad sick and not someone else’s dad?” I don’t know, Aedan. I don’t know. But one day we’ll see God face to face. In that moment I don’t know that we’ll even need to ask Him our questions. I think we will just know the answers (answers that are beyond our comprehension right now). We will fall to our faces and worship the God who works all things for our good and we will be able to see the good He has worked. All of it. So be His, Aedan. Be His. He’s the only one that can hold our questions and promise an answer that far outweighs the pain and grief. It is good to be reminded of this. It has been good to lament my sorrows to God and I have not once felt held back from doing so. And I don’t know that I am entirely finished. But I know that while I will always grieve my loss of Jeremy, it will not always be an active grief. And as the years pass — though it’s difficult for me to accept at times — there will be more and more people who know me apart from Jeremy and my loss of him. To those people, I will only be known by my life. I don’t want to be known just by our loss. I want to be known by our life.